Our orangery designs are a combination of a conservatory and an extension, an Orangery from Abbey will be flooded with natural light, while giving you a private area. Supplying to customers in Reading, Wokingham, Windsor, Didcot, Basingstoke, Pangbourne and across Berkshire, there’s the perfect Orangery for every household. The LivinRoom system from expert conservatory roof manufacturer Ultraframe offers excellent value for money by using a purpose-made under roof soffit, usually complemented by low voltage lighting – perfect for changing the ambience with a dimmer switch. They also offer a stunning Ultrasky Flat Skylight that is perfect for any orangery. Choose a beautiful Orangery from Abbey Conservatories for a stunning, cost-effective choice, that offers the charm of a conservatory with more of an emphasis on privacy. An Orangery from Abbey Conservatories is guaranteed to keep any distracting sounds from outside from infiltrating your peaceful abode, as it is made up of large brick sections. Our Orangeries are designed to be very soundproof, creating a peaceful haven in which to entertain and enjoy time with family and friends. It’s important to us that your new extension offers complete privacy for your Reading home, which is why we’ve designed them specifically with seclusion in mind. We use specific designs to ensure your privacy is top priority, whilst still allowing plenty of natural light to flood in. Here at Abbey, every detail is paramount in creating the perfect orangery for your Reading home. Using only the highest quality uPVC for the double glazed frames, warm air is kept inside your Reading home for longer using state of the art multi-chambered technology. With a WER as low as A+12, there’s no need to worry about cold areas or draughts. Your Reading home will stay warm all year round, and you’ll be able to enjoy your new orangery whatever the season. Prospective buyers are interested in Reading homes with stunning orangeries, giving your property excellent selling points and adding significant value. 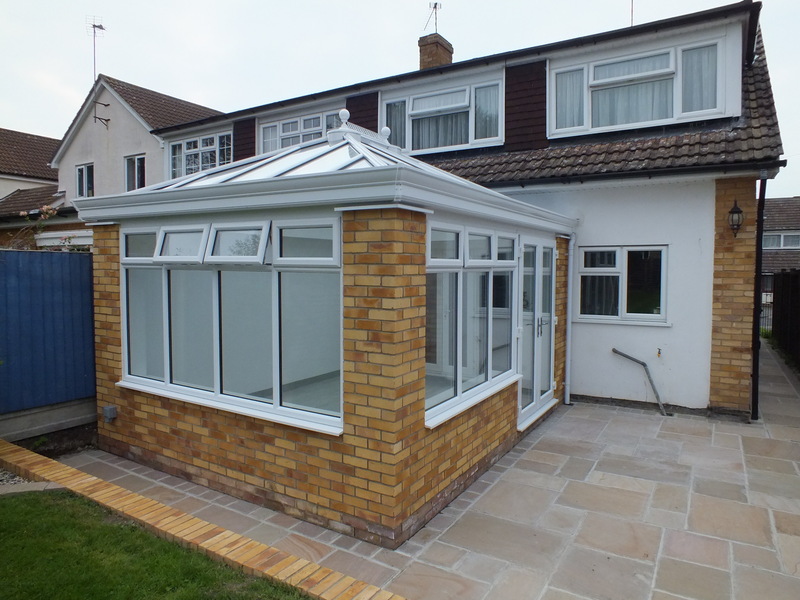 Make your home stand out with our beautiful extension options today. Watch your new Orangery blend seamlessly into your Reading property, with impressive brickwork and a beautiful lantern roof to instantly flood sunlight into your property. An Orangery will be perfect for customers lucky enough to own south-facing properties, who may find a standard conservatory would let in too much light. With a variety of design options, Abbey can assist you in choosing a beautiful Orangery or LivinRoom Conservatory to suit your budget. Increase your living space, and enhance your home. Add splendour to your property in Reading, Wokingham, Bracknell, Basingstoke, Windsor, Henley, Thames Valley or Berkshire areas with a stunning Orangery, which is more cost-effective and arguably more of a statement option than a standard conservatory. We will ensure your new Orangery is built in a suitable location for your property, and will create a welcoming, yet private room for your home that keeps the warmth in and noise pollution out. 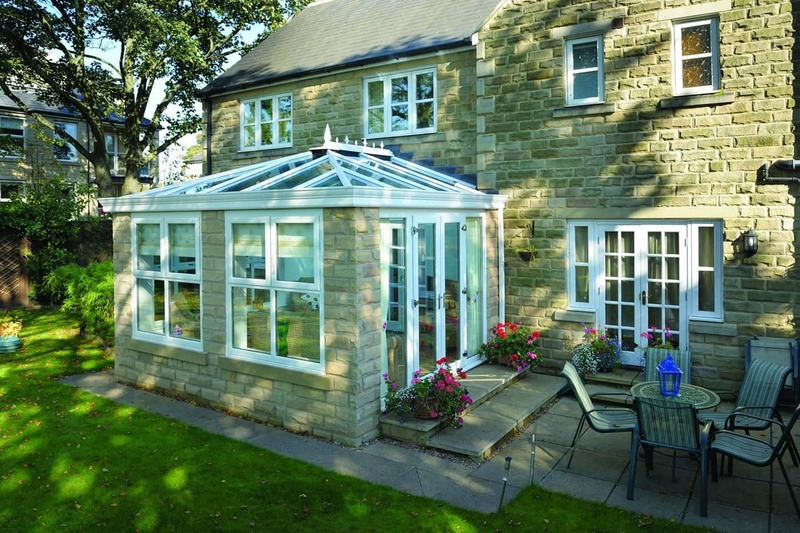 Interested in our fantastic orangeries, now just need a price? Don’t hesitate to get in touch today on 0118 958 2839 to speak to a helpful advisor who will be able to offer an excellent price while answering any queries or questions you may have. 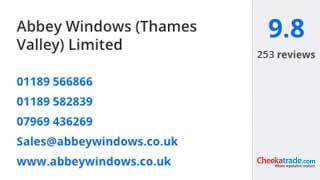 Alternatively, if you would prefer to get in touch online, please complete our online contact form or send us an email at sales@abbeywindows.co.uk. You’ll receive a quick response that will get you on your way to a spectacular orangery in no time at all.